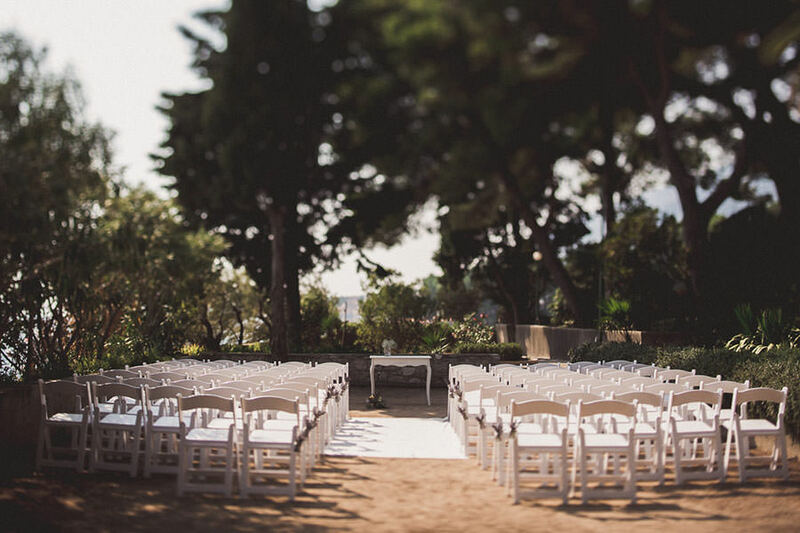 Finding the perfect wedding venue for your wedding abroad is not always an easy job. 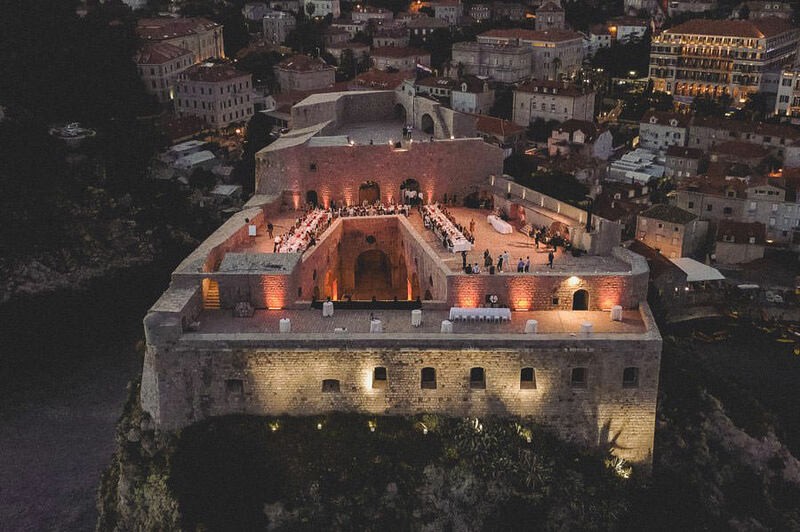 Having been at so many wedding venues across the country, we compiled a list of top 10 wedding venues in Croatia for you to explore and get inspired. Fort George has a quietly solemn atmosphere, with the view of the Adriatic Sea adding more sensory and visual enjoyment to the whole experience. Roof terrace and the garden are the go-to places for wedding ceremonies. 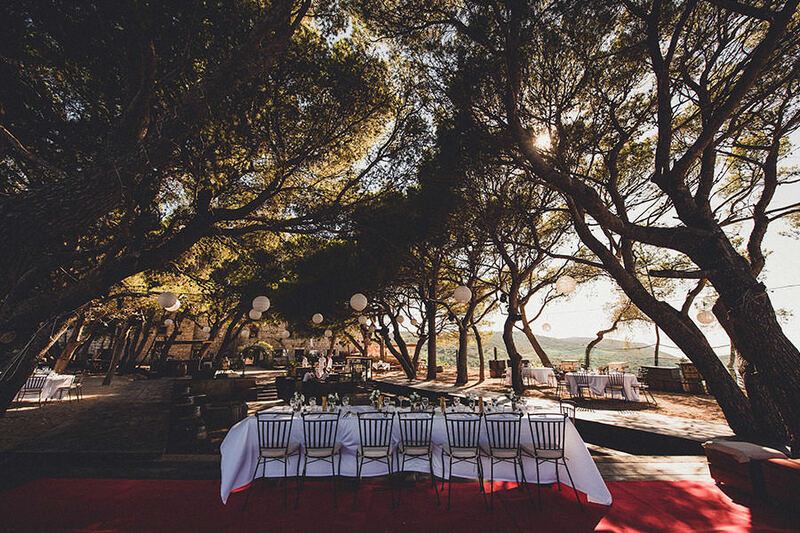 Because of their rustical, medieval ambience, combined with the alluring beauty of the sea and the shade of the pine trees, they are the perfect romantic places for a wedding. The Sponza Palace has all the grandeur, regal undertones and historical depth you would expect from a palace. It emits both a mystical Gothic and a playful Renaissance energy. Its ambience is rich with elegance and culture. The open atrium allows for a graceful feel of being outdoors and provides crucial shade during hot summer days. This venue is excellent as an alternative to ceremonial church weddings. Fort Lovrijenac is one of the most impressive locations in Dubrovnik. It’s probably a thousand years old and built entirely out of stone rock, which gives it a surreal, detached-from-the world ambience. The happy couple can choose any of its three terraces as a wedding venue. This grand historical monument is truly magnificent. Its awe-inspiring beauty allows for an upscale, luxury wedding with gentle, romantic undertones. Villa Sheherezade is unlike any other wedding venue you’ve seen. It owes its uniqueness to its exotically oriental feel, style and look. The island of Lokrum and Dubrovnik city walls serve as a stunning background. 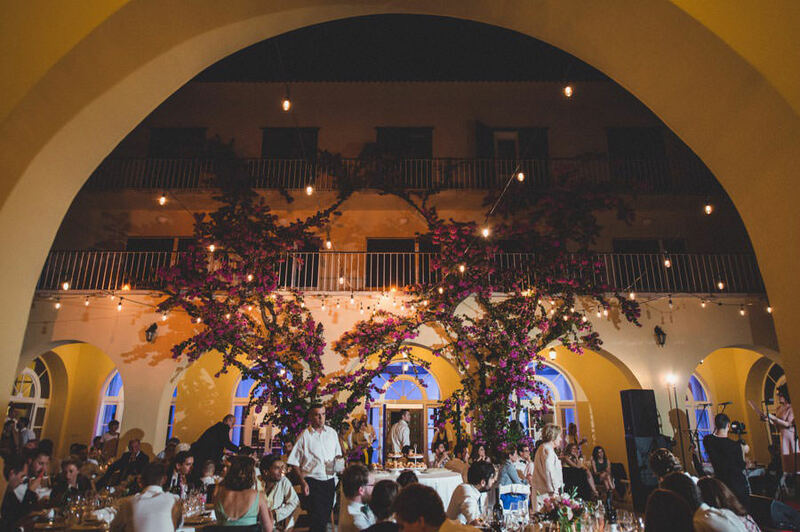 The Villa is perfect if you wish for your wedding to be both intimate and glamorous. 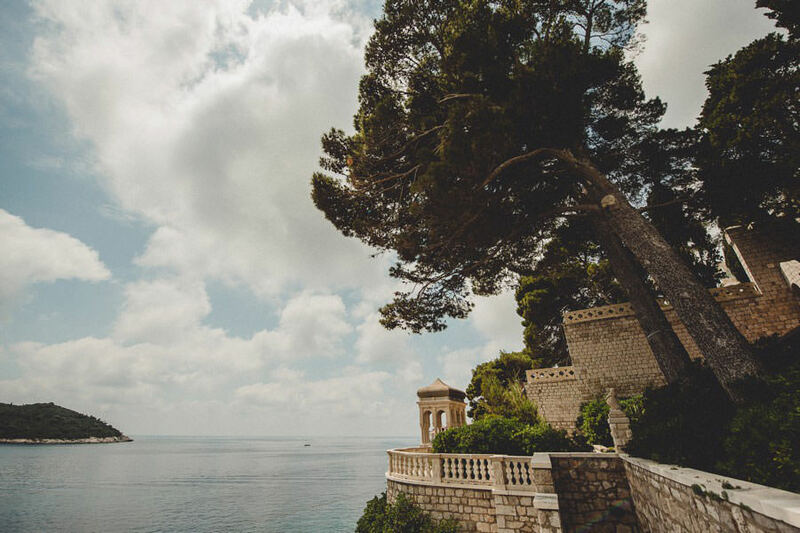 The Oval Terrace, the Palm Gardens and the gorgeous view of the Adriatic Sea are what makes this venue a fairy tale kind of beautiful, magical and dreamy. 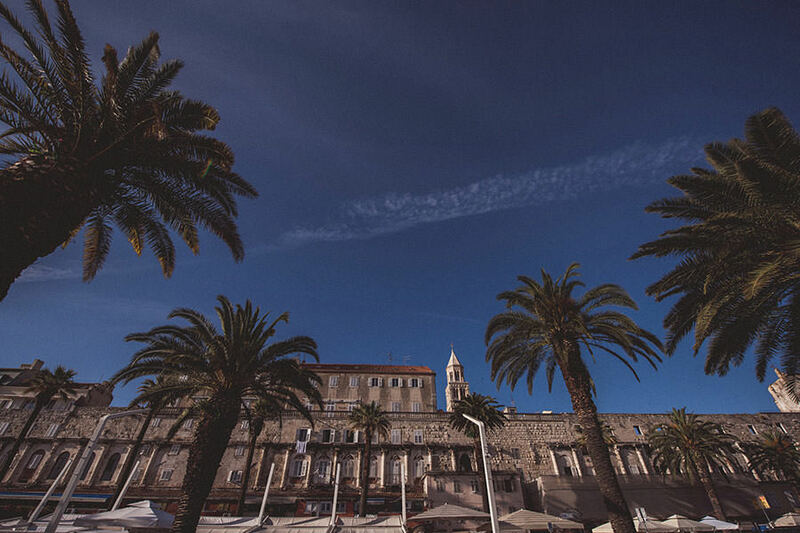 The ancient dominican monastery is the landmark in the town Bol on the island of Brač. This religious site and history museum has a low-key atmosphere and superb art. It has pleasant garden grounds and two very lovely beaches. 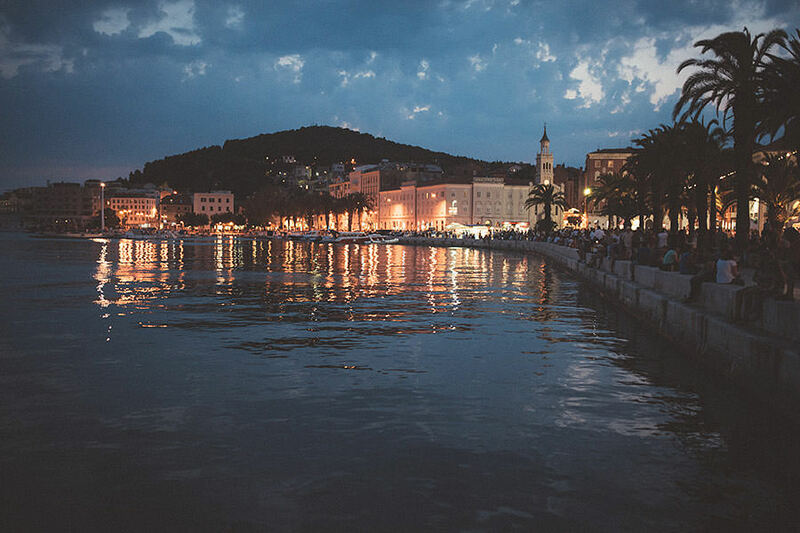 Both have a very picturesque view on the island of Hvar. In summary, well suited for casual and intimate weddings. Villa Dalmacija is one of the most beloved historical buildings in Split. It’s located in Marjan forest, a beautiful, somewhat secluded green area, close to the sea. Various kinds of Mediterranean trees and plants surround the Villa, while the interior is enriched with floral decorations and decorative lighting. The atmosphere is perfect for a lush, spring-themed wedding. 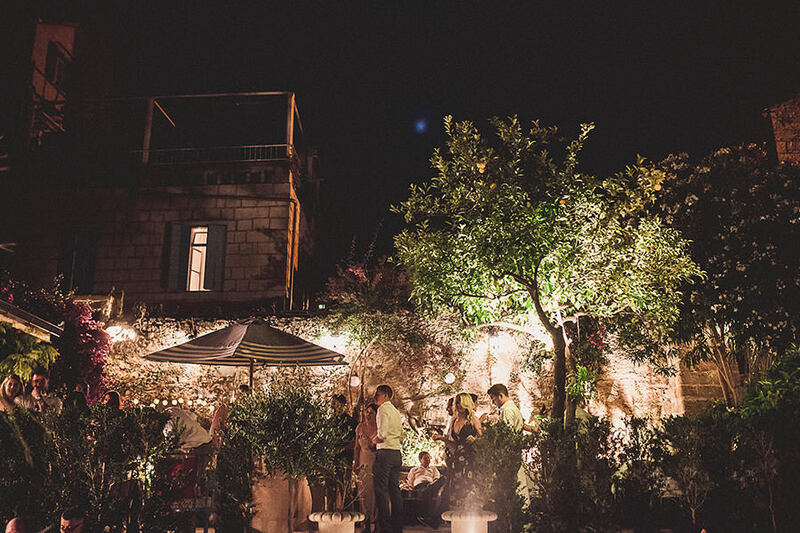 For couples that are looking for a slightly laid back atmosphere and a more intimate wedding, surrounded by close family and friends, Lola Bar in Vis is a very charming place. Lola Bar is slightly isolated from the rest of the world and looks more like a garden than a restaurant with Spanish themes and impressive local cuisine. 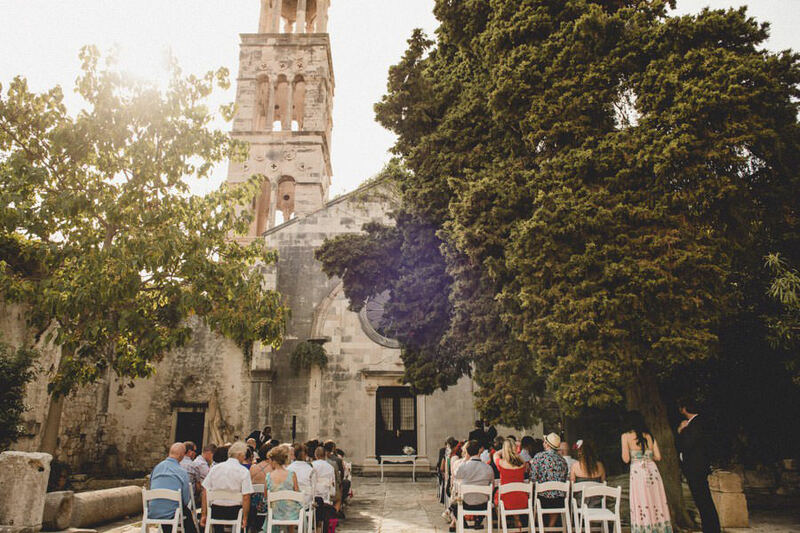 St. Marak’s Church (or St. Mark’s Church) is the most romantic place in the city of Hvar. It’s a remarkable church with an impressive interior and exterior alike. The interior has lovely statues and frescoes, but the courtyard is ideally made for a wedding ceremony. 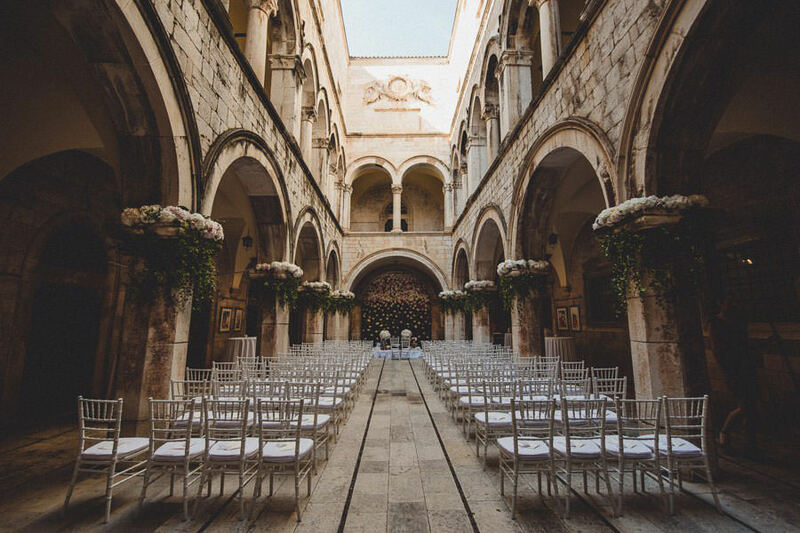 Despite its long and wide walkway, paved with medieval stoned tiles and surrounded by tall and robust trees that give the desirable shade, it is still allowing for sun beams to shine upon the happy couple and their guests. Ultimately, the Church is great for ceremonial, festive weddings. This restaurant looks like Eden brought to life. Its beautiful outdoor garden is rich with palm trees and lush green Mediterranean growth. A few meters away, the restaurant overlooks the sea and the guests have a unique opportunity to admire a truly wonderful sunset, as well as the silhouettes of the islands of Šola and Brač across the water. Overall, the atmosphere is soothing, calming and serene. The Meštrović Estate in Split resembles ancient Roman and Greek buildings and forums, complete with wide, ceremonial staircase that lead to the entrance, and tall, thick pillars of soft beige colors. The truly amazing part is the immense grassy garden terrace in front of the building, surrounded by towering green trees, blossomed bushes and tall lights. This generously wide and long garden is definately perfect for wedding receptions.